Moving from theology to life is difficult. All of us know something of the gap between what we say we believe and the way we live, and complex suffering tends to increase that gap. Good counselors must not only communicate truth, but must help counselees learn to apply that truth to their daily lives. 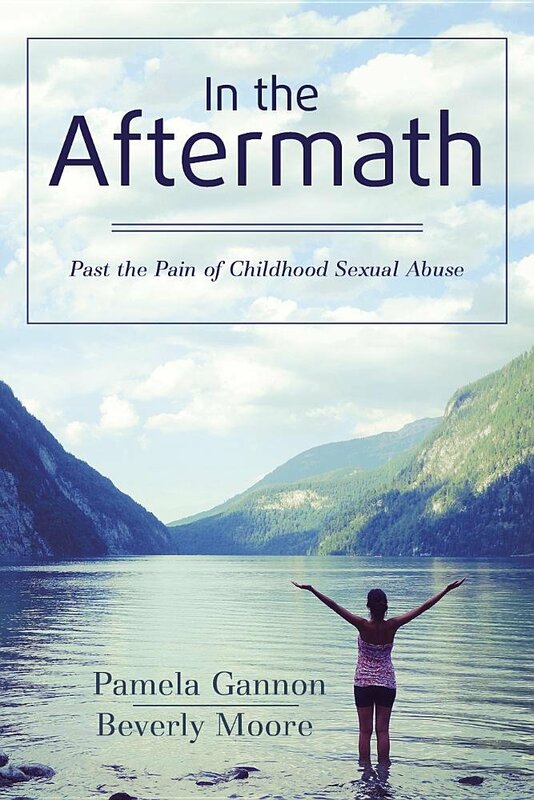 In their book, In the Aftermath, Beverly Moore and Pam Gannon seek to help victims of childhood sexual abuse (CSA) find hope and healing. While this book captures the big theological truths well, it struggles to help readers bridge the gap from theology to life. There are not many works from a Biblical Counseling perspective that directly address the issue of childhood sexual assault. In the Aftermath is a welcomed contribution to that silence. In addition, Beverly Moore and Pamela Gannon are good authors to address this subject since they write from a position of experience – both of sexual assault and healing (vii). That experience proves exceedingly helpful in their writing. They are able to write with sensitivity and understanding, and they intentionally created short chapters that are designed not to overwhelm the reader but keep things accessible and memorable. They emphasize the “on-going” nature of healing, not settling for a simplistic model that makes change quick and simple. They’ve also written some questions at the end of each chapter to give the reader some ways to think carefully about the content in light of their own life. Furthermore, the book is deeply grounded in the gospel. Readers will find here hope and healing that comes from Jesus Christ. Whether talking about suffering, or shame, or identity, or fear, or relationships the authors always find a way to intentionally point the reader back to the gospel. It is in such details that their adroitness shines. Yet readers are often left, throughout the work, without a bridge from theology to life. More could have been done to help victims of CSA know how to apply these gospel truths to their own story. Some examples may clarify what I mean. Throughout the book the authors say typical Christian clichés which they don’t always flesh out. For example, on page 22 readers are told that they must “develop an eternal perspective.” In the previous chapter the authors have outlined the concepts of God’s purposes in suffering: namely His glory and our spiritual growth. Yet, other than telling us the truth we aren’t given a lot of specific ways in which we can develop this perspective. We are told what that perspective is, but not how to actually cultivate it in the face of great sorrow. The same thing happens as readers wrestle, for several chapters, with the subject of shame (a massively important subject in counseling survivors of CSA). As you come to end of this section on shame, the “Apply the Truth” section tells readers to “Start developing spiritual eyes to see yourself from God’s eternal perspective.” Again, the counsel is good, yet the “how-to” is missing. We are never really instructed on how to take those steps to “develop spiritual eyes.” The truths are all excellent insights and helpful principles. People need to know what to do with truth. Many people know the truth but struggle to live it out and in the face of significant traumatic events, it becomes even harder. Careful attention should be given to helping people apply these truths in ways that aren’t just cliché and flat. The author’s remind us of the importance of our thoughts and the powerful role they play in our lives. Yet, like many in the Biblical counseling movement, I fear they place far too much emphasis on the mind. What we often get in Biblical Counseling works is a sort of sanctified version of cognitive behavioral therapy. The author’s essentially reduce the entire struggle to overcome CSA to one principle: believe the right things. What they say is all true, and yet believing the right things is not as simple as getting the right information. What Moore and Gannon overlook is the power of both desire and habit, neither of which they really address in detail in this book. This is an entire aspect of helping those traumatized by CSA that is underdeveloped in Moore and Gannon’s work. It would be wrong for the reader to conclude that I don’t appreciate this book. I certainly think things could have been done to make it better, stronger. Yet, in the hands of a competent counselor who can add to and supplement the work, this can be a wonderful tool. In the Aftermath, provides readers an important theological framework for the practical applications that must be made in the process of healing. I appreciate so much of what the authors have done here to provide that framework and foundation. This is a good work; it reflects weaknesses within the broader cultural climate of Biblical counseling at the moment. Competent Biblical Counselors will, however, find room to develop this and use it as a good tool for helping those who have suffered from CSA.